Almighty (or Shaddai in Hebrew) is one of the most well known and reverential of all the biblical names for God. We often speak of Him as The Almighty. However, the name is not found in the Bible as often as one might expect. Shaddai (Almighty) occurs only forty one times, thirty one times in the book of Job. Information about the root meaning of this name of God can also be found on the page for God Almighty (’El shaddai). Yet another theory says that shaddai comes from the Akkadian word shadu for mountain (See Isa. 60:15-16. Perhaps Ps 121:1-2 tells of this “God of the mountain”). Finally, shaddai may relate to sadad, meaning devastation (Ps. 68:14; Isa. 13:6; Joel 1:15). 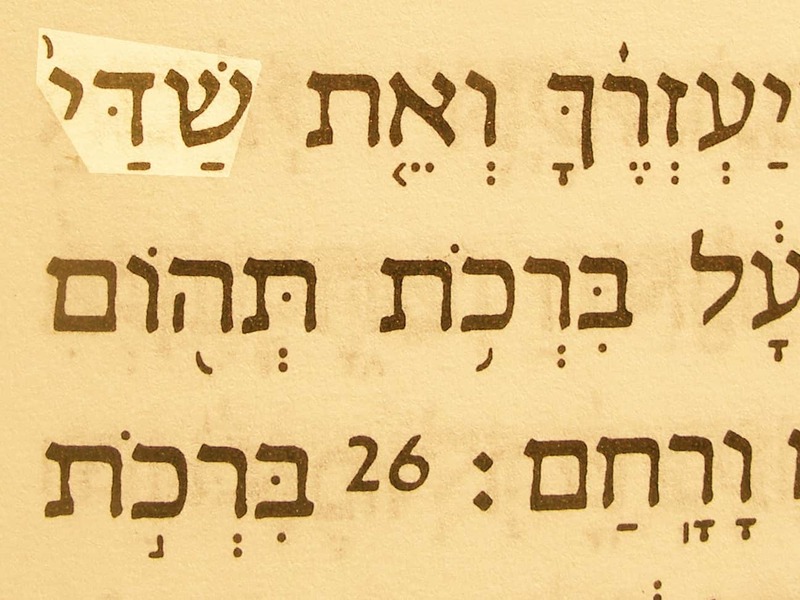 Some rabbis noted an acrostic in the Hebrew letters that make up the name: Shin, dalet, yod, standing for Shomer (watching), daltot (doors), Yisra’el. God is indeed “the One who watches the doors of Israel.” A simple Hebrew letter Shin is found on the Jewish mezuzah that many Jews attach to their doorposts. It stands for Shaddai. In his book about the names of God, Norman Stone says the ai ending is a plural possessive that indicates that we belong to God. Job was a man who experienced some of the deepest human suffering. He needed to know the character and attributes of God that are suggested by this name: His sufficiency, His bounty, His strength, and His oversight and protection. Whatever the exact roots of this name for God are, all these attributes are true of God and are expressed in other biblical names of God. Almighty (Shaddai) in the Hebrew text of Genesis 49:25. Bible references: Gen. 49:25 and another forty one times, thirty one of which are in Job alone. The Almighty (pantokratōr) in Revelation 1:8. 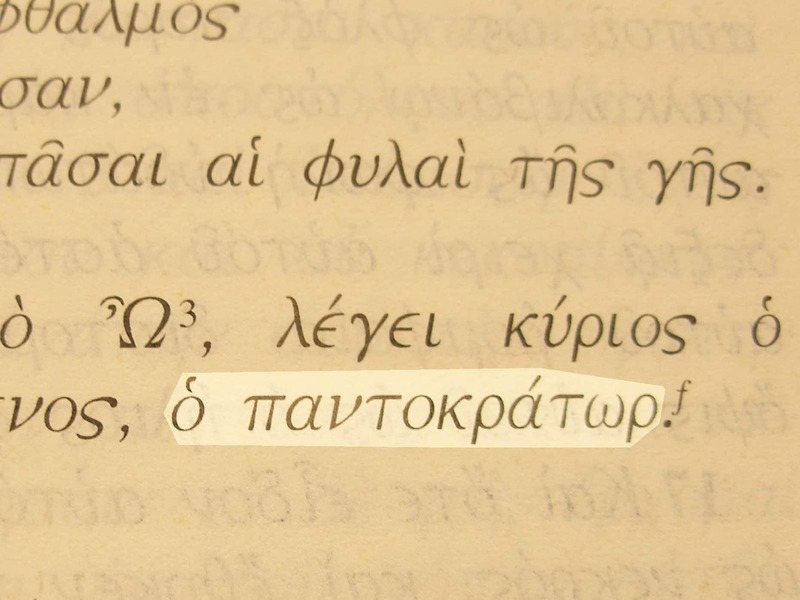 The translators of the Old Testament into Greek translated shaddai using pantokratōr. 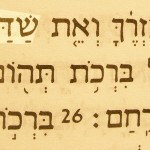 It means “all-powerful” and is equivalent to our word “Almighty.” The Latin word used in the Vulgate Bible, omnipotens, is where we get our word “omnipotent.” Later Jewish translators used hikanos meaning “all sufficient.” However, pantokratōr was also used to translate the name, LORD of hosts (Jer. 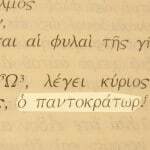 5:14; Amos 4:13). The name LORD of hosts (Yahweh tseva’ot or Jehovah tseva’ot) almost certainly underlies the other New Testament name: Lord God Almighty.